Plus for 2019 Wine & Whisky from MX! All things NOT Tequila...a unique experience. Be brave! We are excited to celebrate our 8th season bringing Latin America's indiginous distilled spirits, fine margaritas, great music and food to Mammoth Lakes. During the summer months we have mild daytime temperatures and cool evenings perfect for enjoying the festival atmosphere. Why festival in the desert this summer when you can be cool at 8,000 feet! Friday night will include 11x Grammy Award Winner Tony Lindsay (singer for Carlos Santana) with Caravanserai the #1Santana Tribute Band in the country arriving from San Francisco. Saturday night we will have the amazing Metalachi! You don't want to miss them or the amazing Latin Fusion of Cale now making their 8th appearance by popular demand! 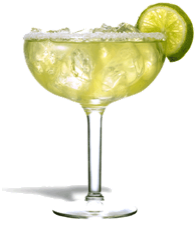 Music is FREE in the Village Plaza and we will have at least five Margarita Bars set-up for refreshment as well as Latin inspired food! Speaking of refreshement! Why not dare to try our Mezcal and Tequila tastings on Friday and Saturday nights while you enjoy the concert?? Tickets are required for the tasting and are available online at a discount until sold out or the day before the event... whichever comes first! The Mezcal & Exotic Spirits Tour! Did you know there are over a hundred plants that can be distilled from the region that aren't tequila? Have you ever tried Mezcal, Sotol, Bacanora or Raicillia? In addition, did you know that Mexico has a expanding wine industry & makes whisky? Well, on Friday night we will be adding selected wines from Baja and whisky from central Mexico to the "everything that is not tequila" experience! Your in for an exotic tour on Friday night! Saturday will be our best yet Tequila Tasting featuring nothing but premium Tequila crafted from 100% Blue Weber Agave! No mixtos! No hangovers! We will have 15-20 different distallery representatives on hand with between 40-75 vintanges to sip and savor. Tequila Tasting | Great Food ! Bring your friends! Bring the Fun! The Fiesta is in Mammoth!